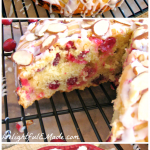 This sweet, moist coffee cake is bejeweled with fresh cranberries, and topped with crunchy slivered almonds. 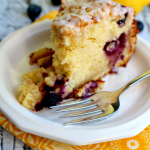 The perfect breakfast cake! Are you going to have company anytime soon? Struggling to come up with some easy ways to feed your peeps for breakfast while they are crashing at your place? Why not have a coffee cake on hand? 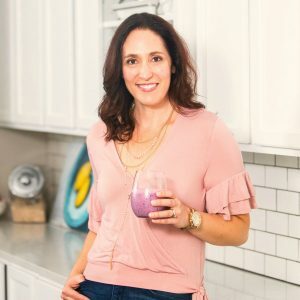 Its a nice alternative to the big, heavy breakfasts that take what seem to be hours to make. This is something you can even make ahead of time, and have ready to slice right away in the morning while the coffee is brewing. 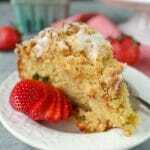 The flavors of this coffee cake are wonderful! The tart cranberries and sweetness of the glaze compliment each other and the almond paste and extract create a flavorful cake that brings it all together. This could be great for when you have company for the holidays, or even something to bring in to work to sweeten up those co-workers. An easy coffee cake great for the holidays or whenever you have company. Preheat oven to 325 degrees. Grease or spray an 8" round or square cake pan. Set aside. In a mixing bowl cream together the almond paste, butter and sugar using a stand or hand mixer. Add eggs gradually, and continue to beat to a creamy mixture. 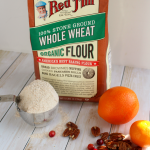 In seperate bowl, combine flour and baking powder. Gradually add to creamed mixture. Stir in extracts, and fold in cranberries. Spread the batter evenly into the prepared pan. Remove from oven and let cool for 5-10 minutes. Remove cake from pan and cool on a rack. Mix together powdered sugar, milk and almond extract. 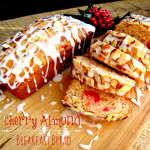 Drizzle over cake and add almonds while glaze is still wet. 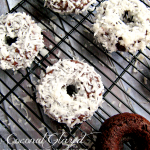 This recipe was adapted and revised from the cookbook Taste of Home Bakeshop Favorites. You can purchase this cookbook at Barnes and Noble. You and your guests will surely enjoy this coffee cake! Happy Holidays! This is beautiful! I love the sliced almonds covering the cake. OH... this looks perfect. We are big coffee cake people over here. I have some almonds and cranberries in the house right now. Might need to do a test trial before people come in town. Pinning! I have GOT to try this! Anything with almonds is a win! And the cranberries make it so pretty! 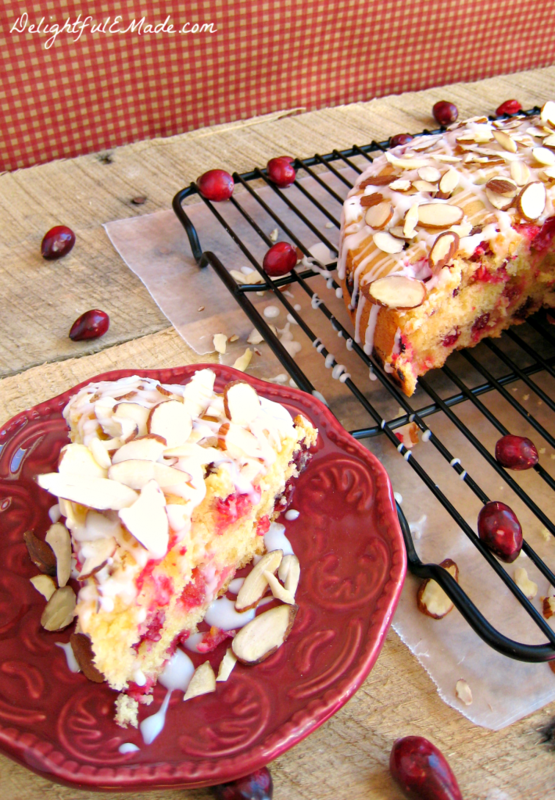 Hi Ruth, Sure - you are more than welcome to include the Cranberry Almond Coffee cake in your Thanksgiving round up. Please include a link-back to the post. :) I do have a couple other Thanksgiving related posts, so I will e-mail those over to you. Thanks so much! This is absolutely gorgeous! 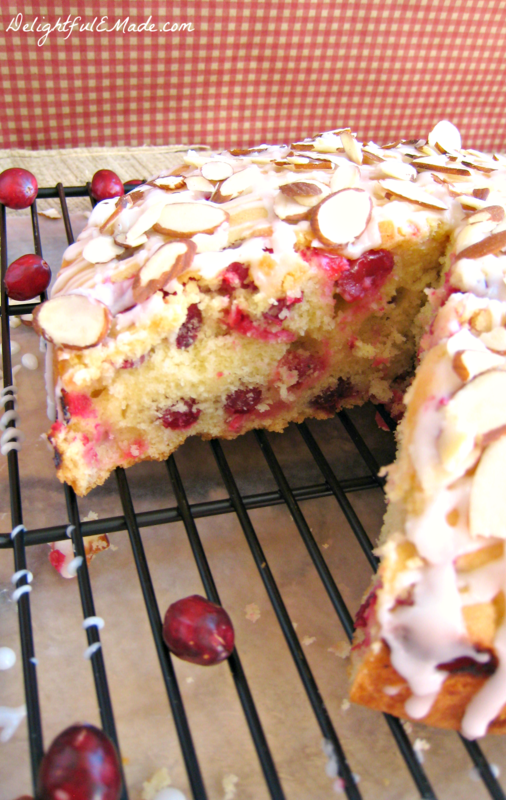 I love baking with cranberries because of that pretty burst of red. WOW!!! That looks amazing!! I so want to lick my screen right now! I'm such a coffee lover and I enjoy have a little something sweet with me java. Definitely will bake this over the holidays! 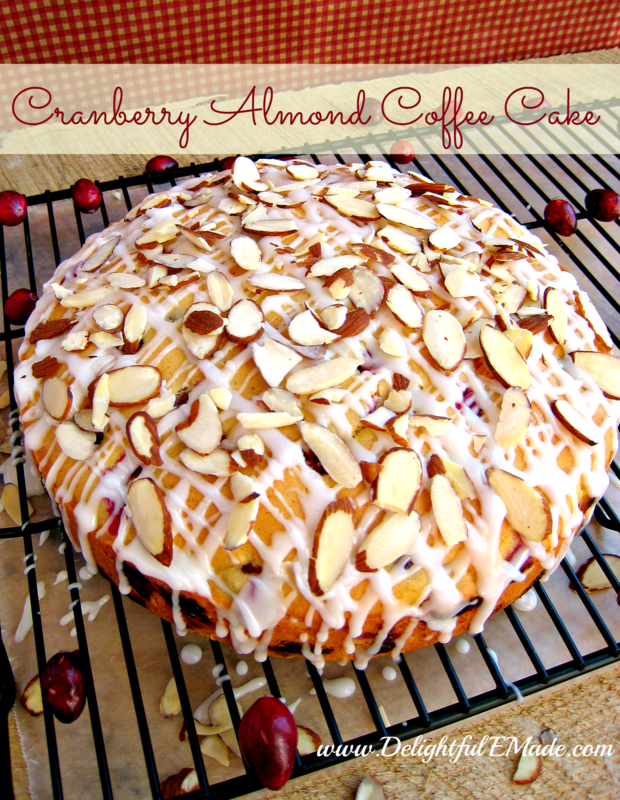 This coffee cake sounds delicious and is so incredibly gorgeous! Perfect for Christmas morning or any time company is on the way! Thanks so much for sharing at the Saturday Night Fever Link Party! 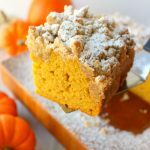 love that simple but more authentic coffee cake recipe god bless you for sharing this I am surely going to try this out.